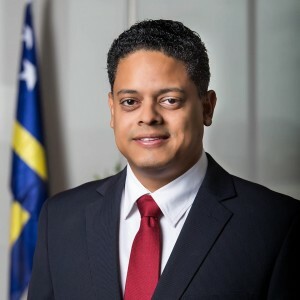 WILLEMSTAD - The Prime Minister of Curaçao, Eugene Rhuggenaath sees no reason to deploy extra troops and other capacities because of Venezuela. The Prime Minister reacts to the motion of the Second Chamber of the Dutch Parliament which was adopted yesterday in The Hague. An overwhelming majority in the Dutch Parliament wants Minister Ank Bijleveld of Defense to consult with allies about the strengthening of the military defense of the Caribbean parts of the Kingdom. The motion was presented by Isabelle Diks of the GroenLinks party. The motion only had the votes of the SP and the Party for the Animals against it. The reason for the motion is the concern that the unrest in Venezuela escalates and the regime of President Nicolás Maduro is seduced into 'military adventurism' in the region. But Rhuggenaath says that currently there are no indications that reinforced deployment of defense is needed in the Caribbean with regard to Venezuela. Earlier this year the Chamber was warned from naval circles that the current presence of Defense in the Caribbean parts of the Kingdom is not sufficiently deterrent.